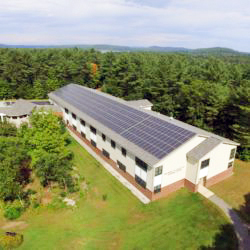 Want to read our Why Go Solar? Guide offline? Click the image below and grab the PDF! 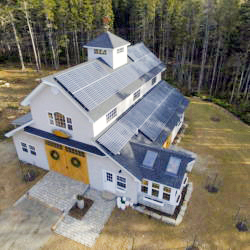 Maine, New Hampshire, and Massachusetts’s solar resource is a full 33% greater than Germany, a world leader in solar, and within 10% of Florida’s. With solar prices at the lowest prices ever, and state policy that enables you to reduce your grid dependence with solar, it’s never been a better time to put the sun’s energy to work for you. Knowing the basics of solar electricity and how it is billed to you is the start to learning how anyone can reduce their fossil fuel use with solar energy. When you factor in solar’s significantly reduced equipment costs and reliable performance, the average return on investment of solar energy ranges from 8% to 12% per year. 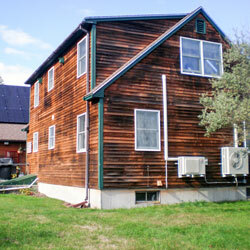 You know solar works if you have a great south facing roof, but what if your house has a lot of trees around it? What if you live in an apartment? Chances are, there’s a way to make solar work for you. This chapter talks about the many ways to go solar, including rooftop, ground mount, and solar farm options. Stunning progress in solar technology has positioned humankind to make the quantum leap from fossil fuels to clean energy in the coming decade, just as the advent of the automobile enabled the radical transition from the horse and buggy to cars a century ago. 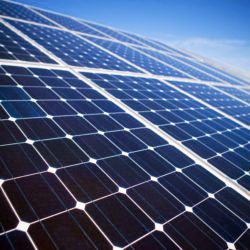 Learn how solar is the ‘tip of the spear’ for a total clean energy transformation. The sun isn’t always shining; this doesn’t have to mean you can’t live off of the sun all day and all night. While most solar energy systems rely solely on the grid for 24/7 power, next-generation battery systems are making it possible to consider cutting the cord from the power company completely. Okay, New England gets abundant sunshine in the warmer months, but we have famous amounts of cold and snow as well. 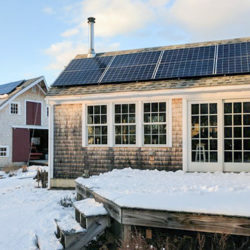 How do solar arrays hold up when the cold comes and the snow piles up? 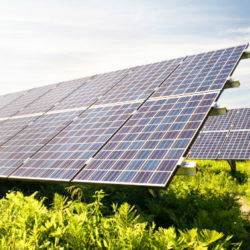 You might be surprised to learn the answer is that a solar electricity system’s performance rises when the mercury drops. 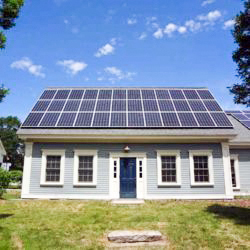 Why go solar? Because the costs of climate change are real and daunting. Solar is the most promising technology for transitioning humankind from fossil fuels to a clean energy economy, and here we crunch the numbers to show how achievable a 100% clean energy future actually is. Are you ready to learn how solar energy can transform your life? Read on!